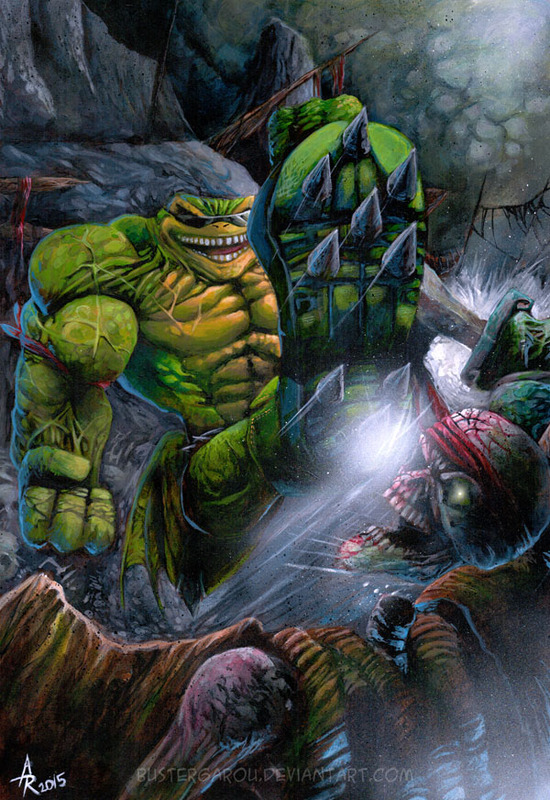 Killer Instinct Fan Art Feature: Rash from Battletoads kicks Spinal’s bony Face! “I always wanted a Battletoad to be a guest character in the newest Killer Instinct, so I was hugely excited about Rash when they announced him 😀 He’s tons of fun to play too! Once he gets out of Beta and becomes a full character, I think I’m gonna main him. Rash from the Battletoads is the first character for the Season 3 Roster of Killer Instinct on the Xbone and the PC in 2016 and a damn cool addition for the game. I bet that MS is working on a real Battletoads game as well, they seem to understand that the older Rareware IP’s still have a lot potential.